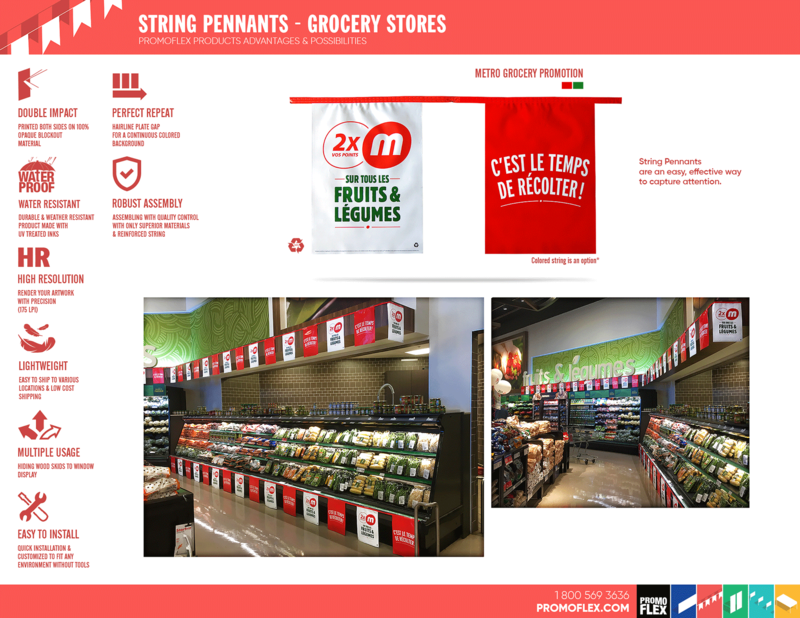 The product can be customized to fit any environment by different length of kits. 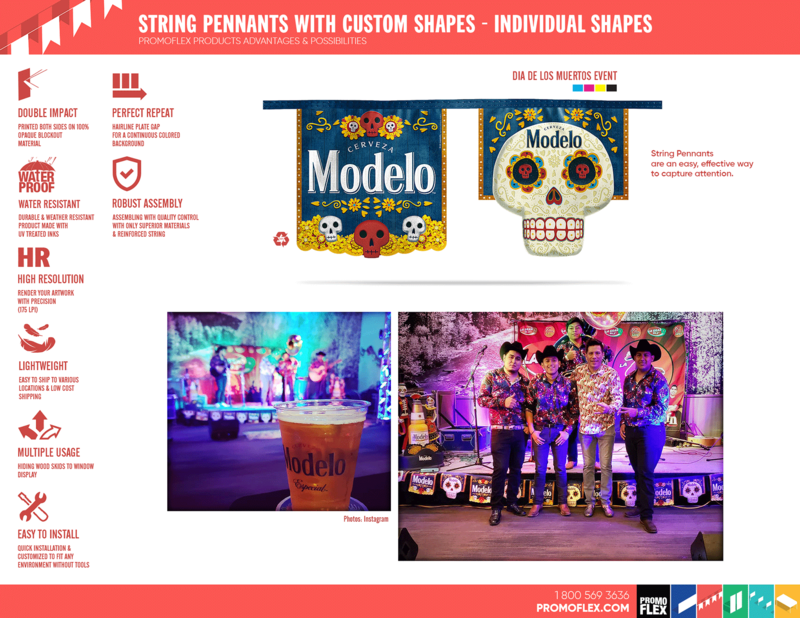 The kit is entirely customizable, with unique shapes and strings to add extra attention at a minimal cost. 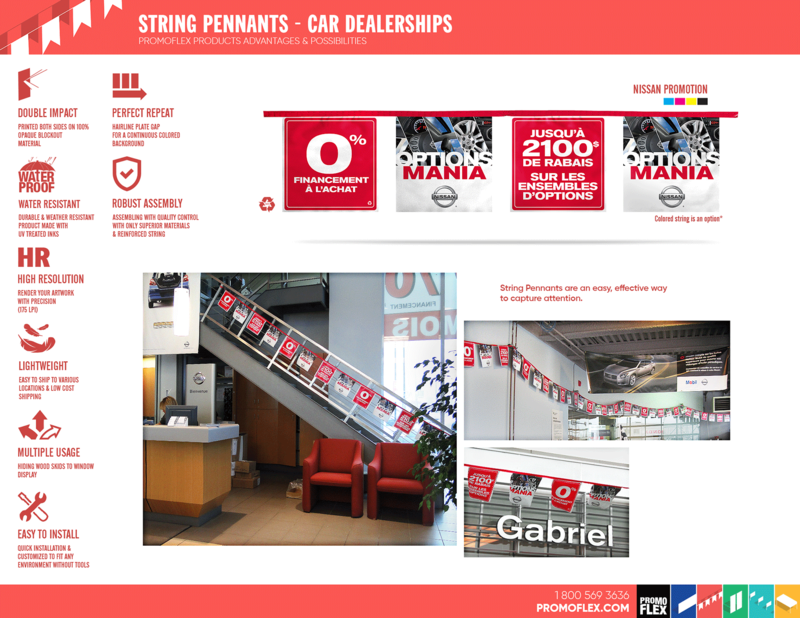 Standard Pennants are an easy, effective way to capture attention, inside and outside. No matter what shape you choose or create, our products are waterproof and won’t tear easily. 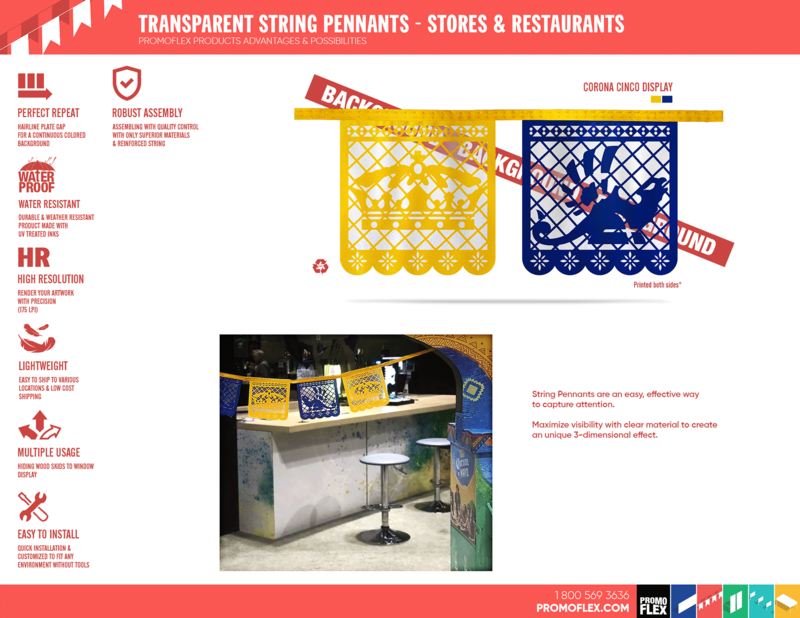 We offer a variety of shapes that are completely opaque, lightweight and durable. 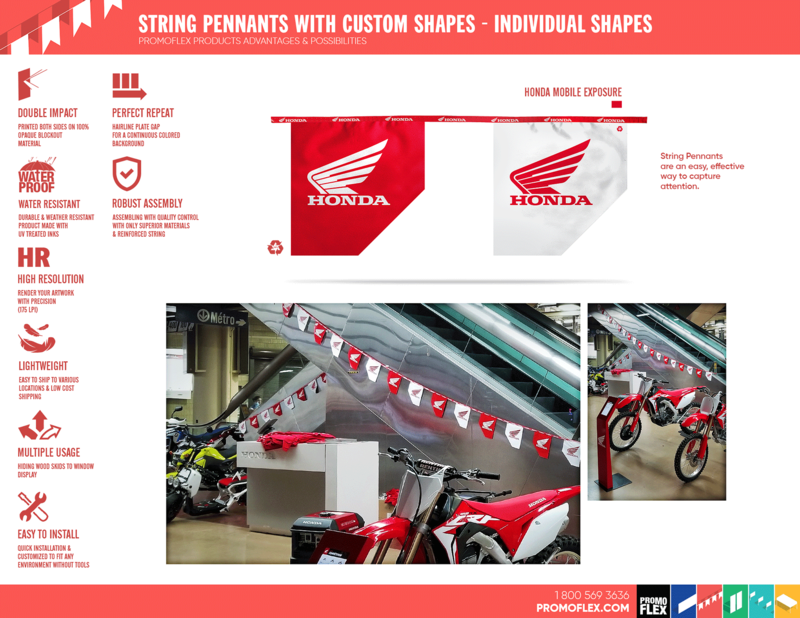 Individual or sequence of shapes are also available. 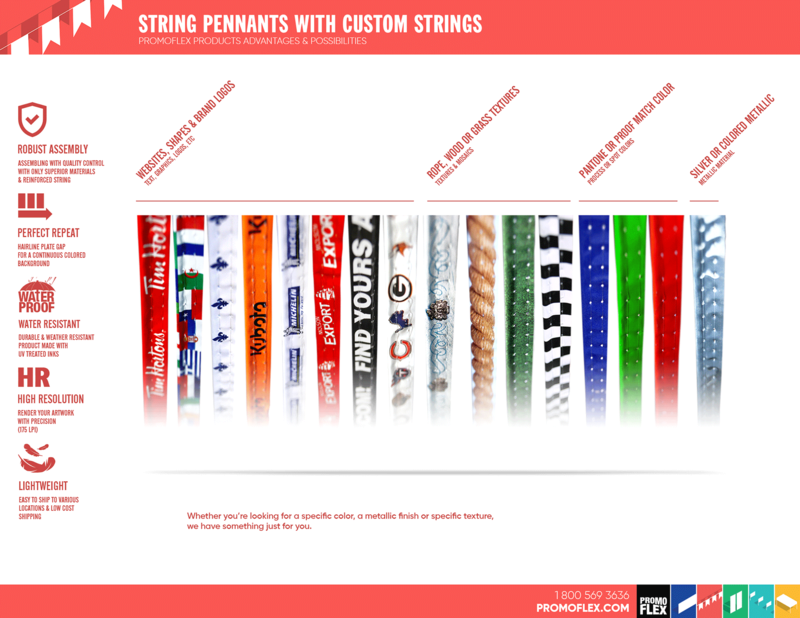 We offer limitless custom string options for every occasion. Whether you’re looking for a specific color, a metallic finish or specific texture, we have something just for you. No matter what shape you choose or create, our products are waterproof and won’t tear easily. 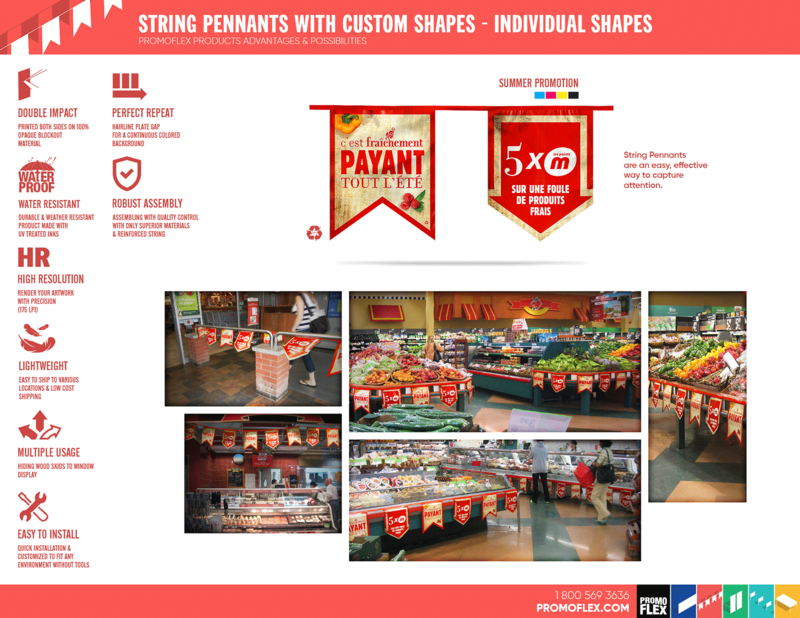 Individual or sequence of shapes are also available. 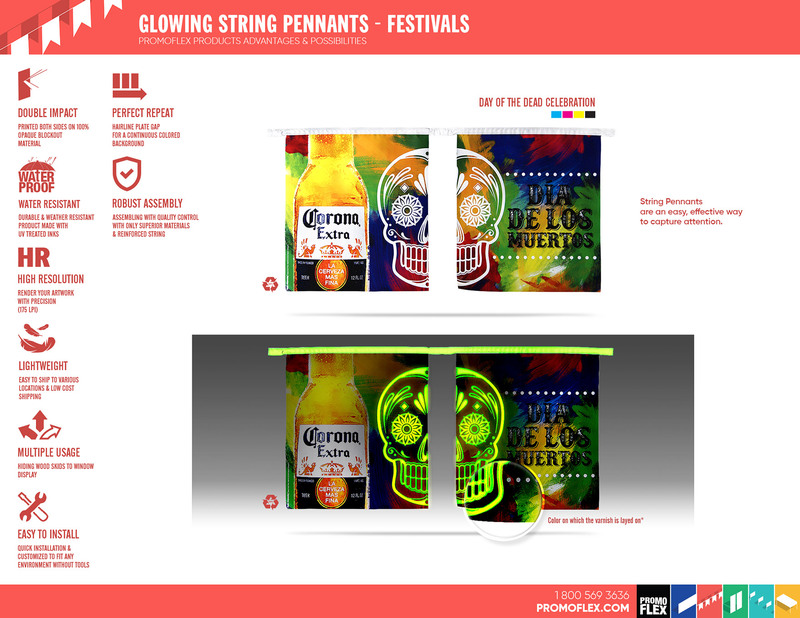 Try our glow-in-the-dark option ! 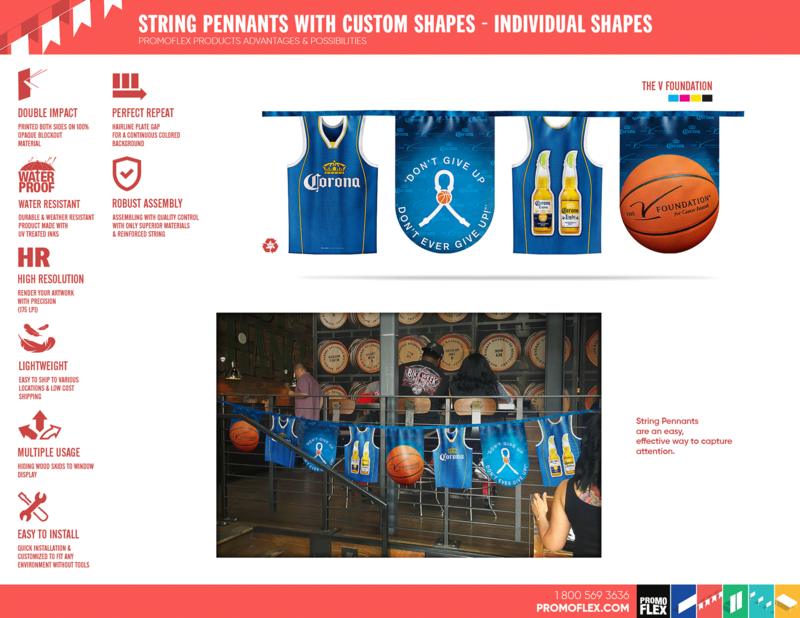 With String Pennants, you can use our traditional shapes or let your creativity fly, especially with our glow-in-the-dark options. 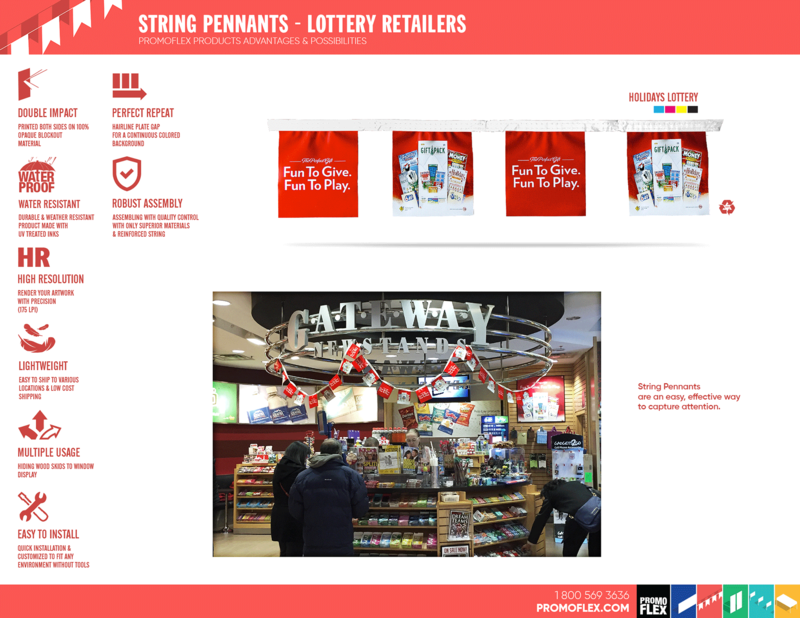 Our String Pennants are a simple, effective way to capture indoor or outdoor attention. 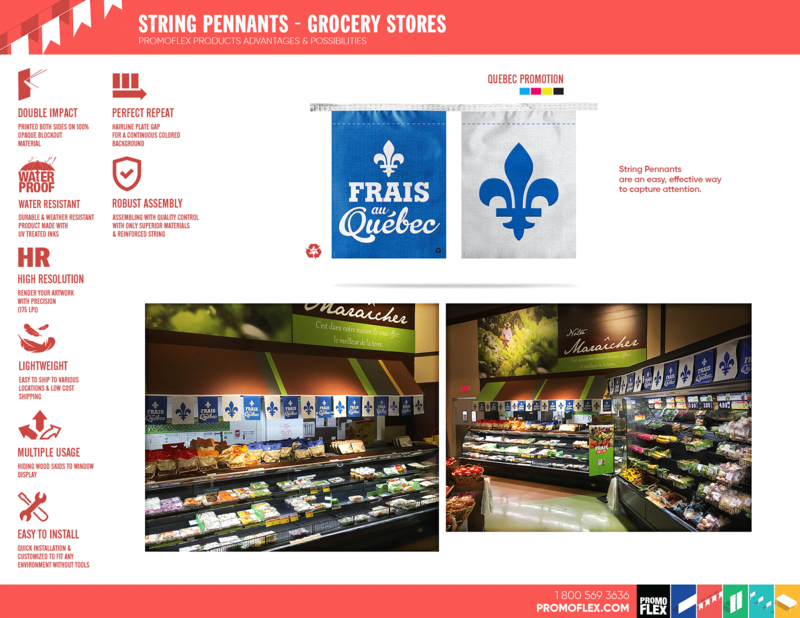 The product can be customized to fit any environment by different length of kits. The kit is entirely customizable. 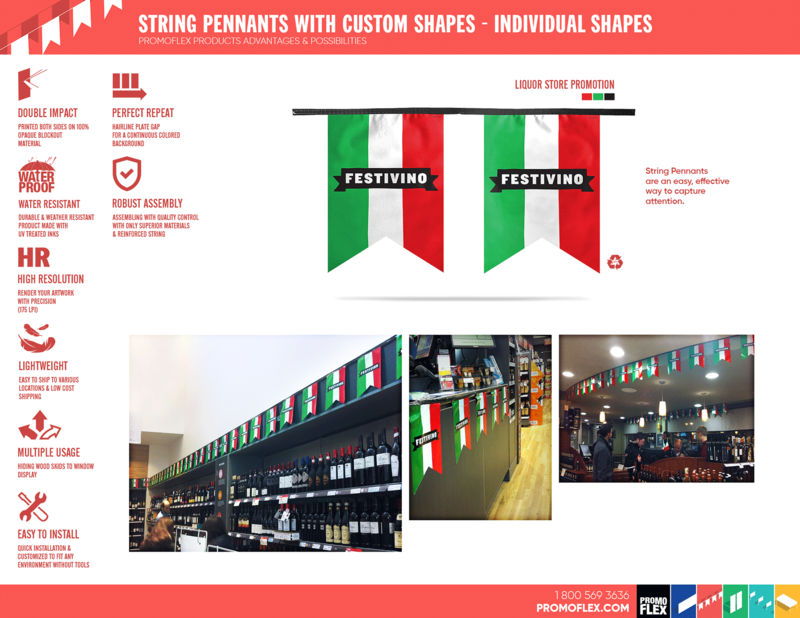 The String Pennant offers limitless possibilities. 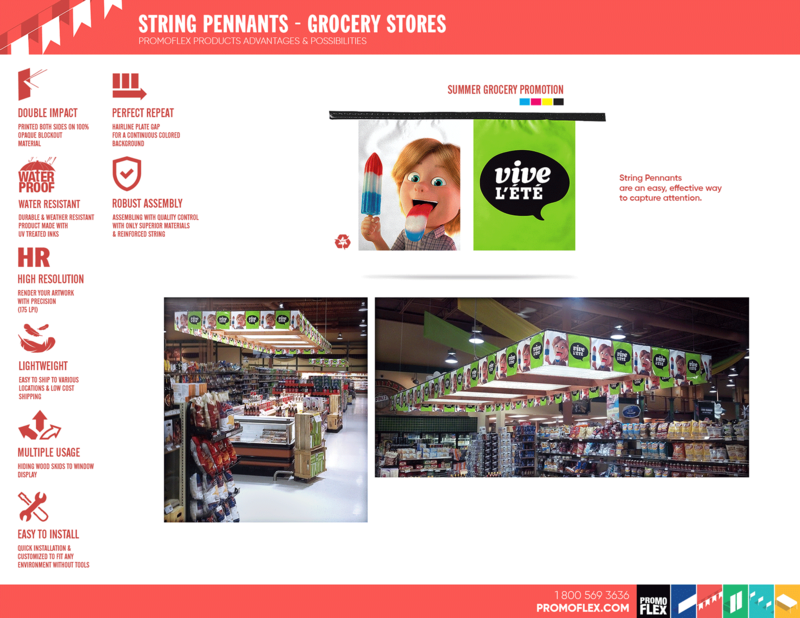 For starters, there are no shape limitations with the String Pennant. 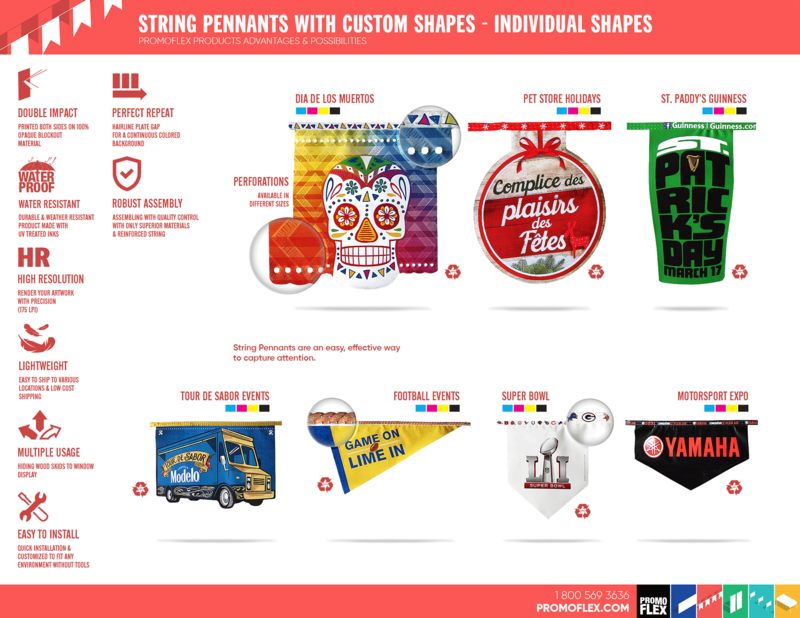 For example, a String Pennant can come in individual shapes, a sequence of shapes, a shape of a bottle or even a football helmet. 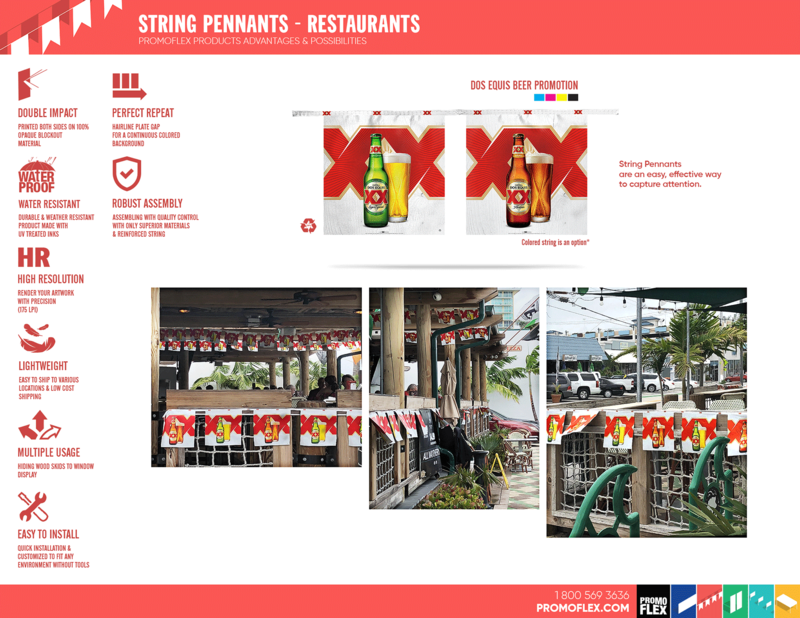 A String Pennant can be a message or slogan of the brand, website link or simply the brand logo. 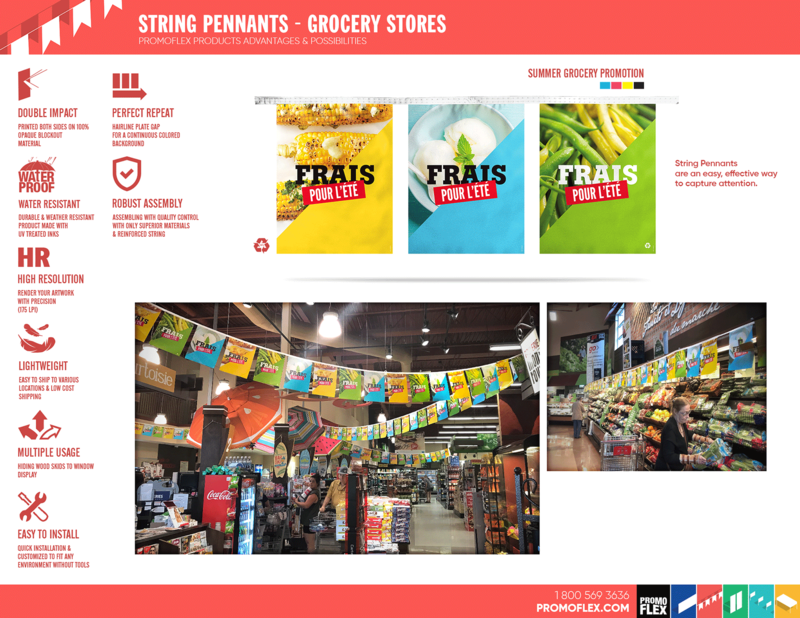 Also, a String Pennant can look like wood or braided rope. For a premium look, we have the silver or color metallic option, along with fluorescent for a glowing effect. The material is opaque, even in front of a light source. 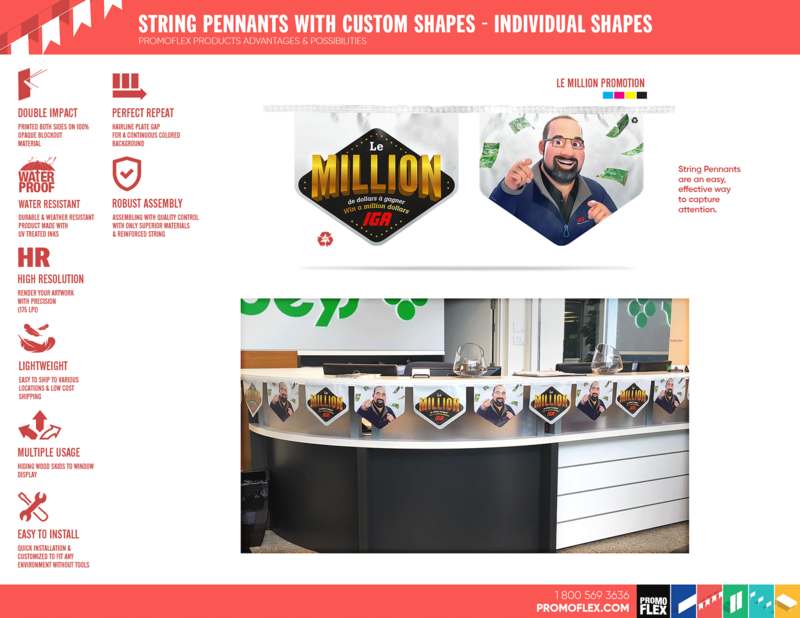 We take pride in assembling our String Pennants with quality control to verify their robust assembly, the reinforced string, the correct sequence of letters or shapes and minor imperfections. 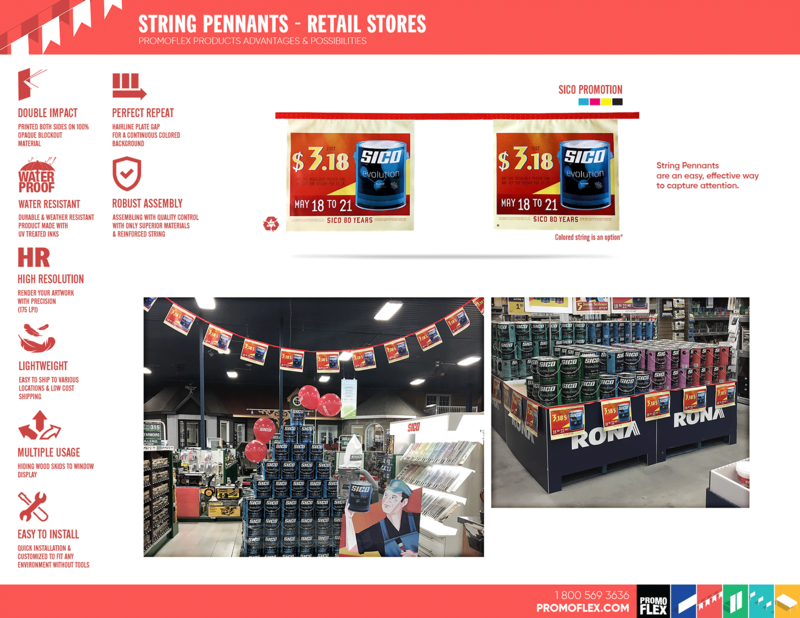 String Pennants are delivered ready-to-use, made to maximize your visibility anywhere, anytime and with a minimum installation effort. 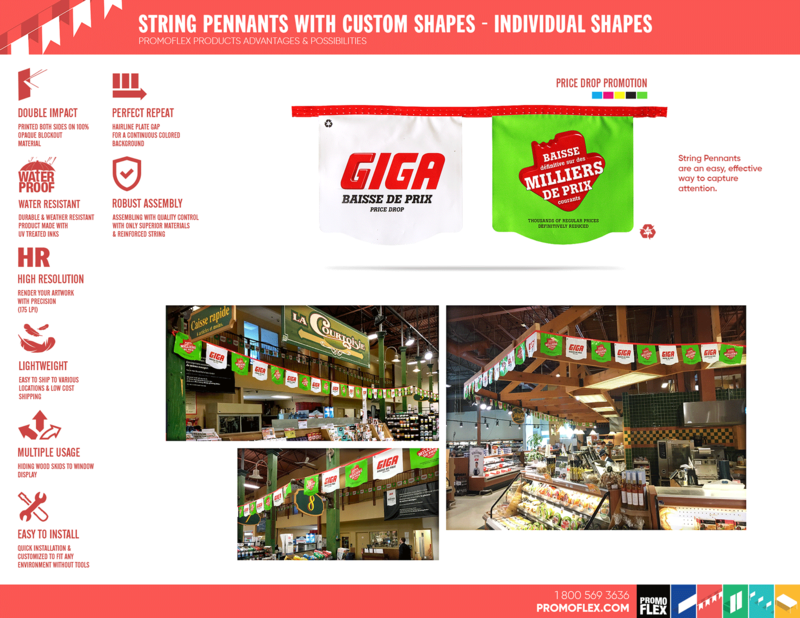 String Pennants are delivered in easy-to-carry bags with identification to save you time. 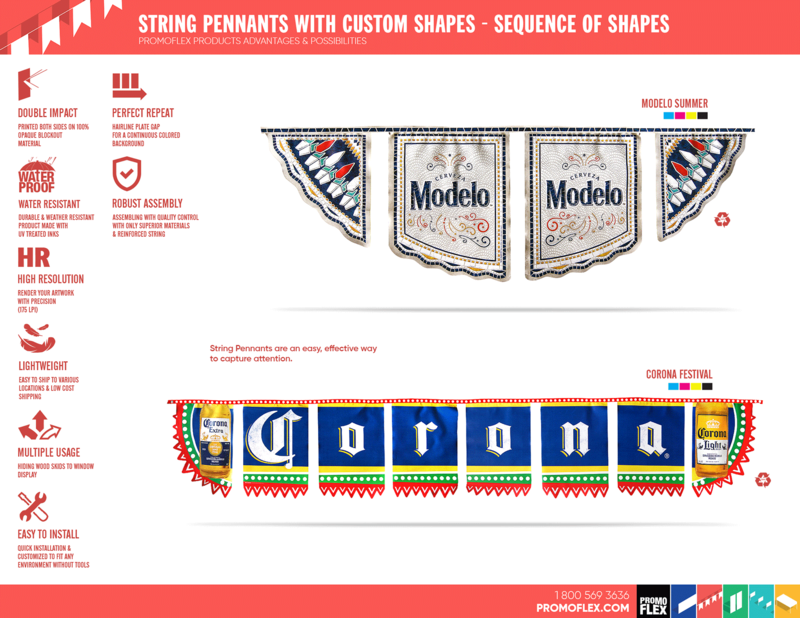 String Pennants are made entirely with recyclable materials, UV treated inks, flame retardant and waterproof. This product is weather resistant and read to be used inside or outside. 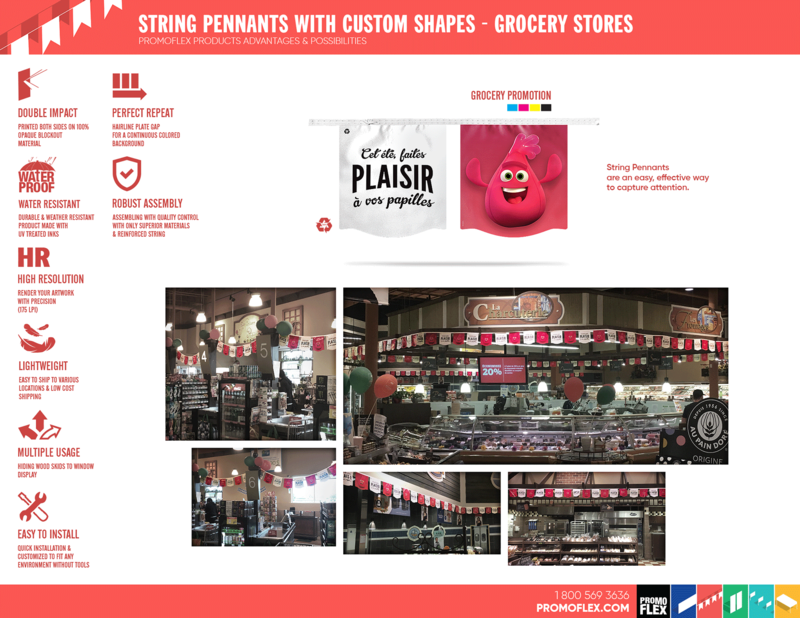 The main industries that use String Pennants are: groceries, convenience stores, supermarkets, breweries, foundations, restaurants, banking institutions, sports teams and racing industries. 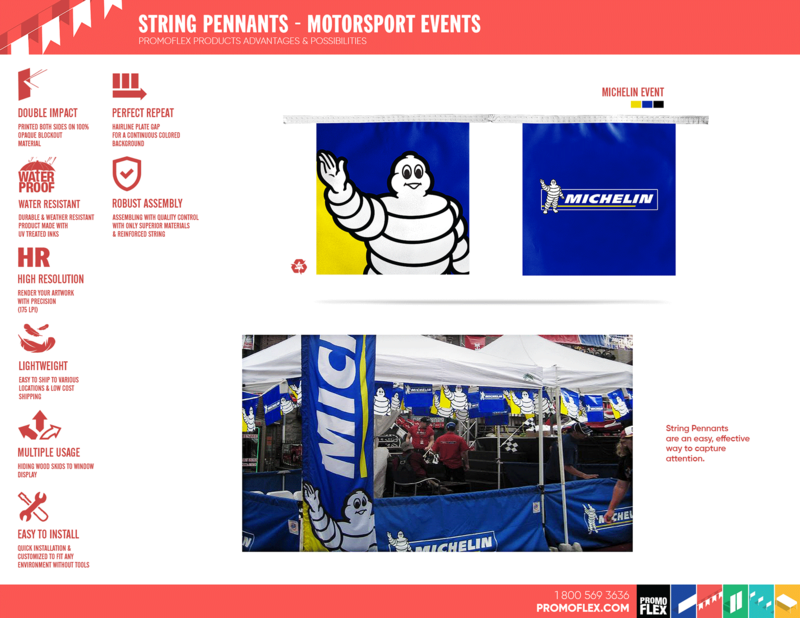 It’s ideal for one-day promotions or marketing exposition, especially with festivals, sports or racing events. 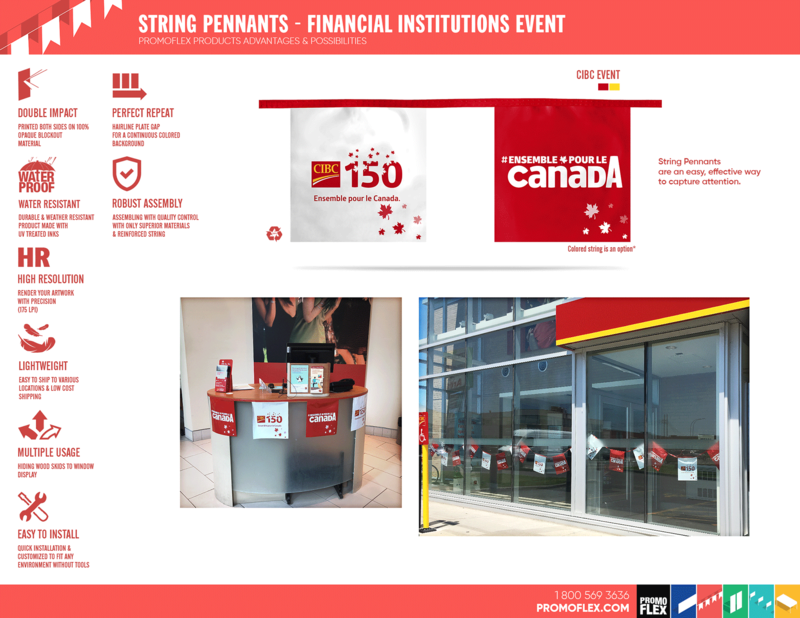 String Pennants are a quick and effective way to capture attention and create a big impact.